Hazardous materials are chemical substances, which if released or misused can pose a threat to the environment or health. These chemicals are used in industry, agriculture, medicine, research, and consumer goods. Hazardous materials come in the form of explosives, flammable and combustible substances, poisons, and radioactive materials. In all its forms, hazardous materials can cause death, serious injury, long-lasting health effects, along with damage to buildings, homes, and other property. Many products containing hazardous chemicals are used and stored in homes routinely. These products are also shipped daily on the nation’s highways, railroads, waterways, and pipelines. Varying quantities of hazardous materials are manufactured, used, or stored at an estimated 4.5 million facilities in the United States–from to local dry cleaning establishments, service stations, and garden supply stores to hospitals and major industrial plants. Industries or other property working with hazardous materials are located just about everywhere throughout the Northeast, and hazardous material incidents can vary from minor spills to Superfund Sites. The Environmental Protection Agency (EPA) keeps track of hazardous material storage and spills, throughout the U.S.. The EPA monitors numerous hazardous waste sites in New England, New York, and New Jersey. The EPA also maintains a searchable database of companies that use, store, or release hazardous chemicals within your community, and tracks their compliance with state or federal environmental protection laws. For more detailed information, the EPA Toxics Release Inventory (TRI) is available online. The TRI provides release estimates on specific chemicals used by industries or other facilities within your area. Please note that release estimates alone are not sufficient to determine exposure or to calculate potential adverse risks to human health and the environment. TRI data, in conjunction with other information, such as the toxicity of the chemical, the release medium, and site-specific conditions, can be used as a starting point in evaluating exposures that may result from releases of toxic chemicals. More information about hazardous materials in your community can be found at the Right-To-Know Network (RTKNET). RTKNET is a free, easy-to-use, non-profit service that allows you to search many hazardous materials databases simultaneously. 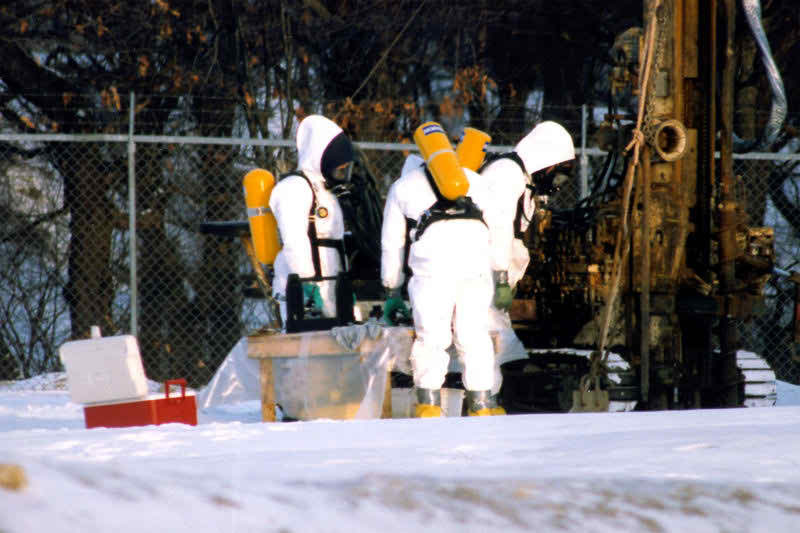 What is the Risk from Hazardous Materials in the Northeast? Where is the Biggest Risk from Hazardous Materials? Communities and residences located near industries or other property that use hazardous materials have a higher risk of a hazardous materials incident. However, many hazardous materials are transported regularly over our highways and by rail, and if released during transport these materials can spread quickly to any nearby community. Human error is the probable cause of most transportation incidents involving the release of hazardous materials. The Emergency Planning and Community Right-to-Know Act requires that detailed information about hazardous substances in or near communities be available at the public’s request. The law provides penalties for companies that fail to comply and allows citizens to file lawsuits against companies and government agencies. Information for your community can be found at the Right-To-Know Network and through EPA resources such as the TRI Database. When are Hazardous Materials Incidents Most Likely? Hazardous materials incidents can occur at any time without warning. Communities and residences located near industries or other property that involves the handling of hazardous materials have a higher risk of a hazardous materials incident. However, while industrial-scale hazardous materials incidents can occur across the Northeast, most victims of chemical accidents are injured at home. These incidents usually result from ignorance or carelessness in using flammable or combustible household chemicals. If you see an accident, call 9-1-1 or the local fire department to report the nature and location of the accident as soon as possible. Move away from the accident scene and help keep other people away from the accident. Try to move upstream, uphill and upwind of the accident. In general, try to go at least one-half mile (usually 8-10 city blocks) from the danger area. Do not walk into or touch any spilled liquids, airborne mists, or solid chemical deposits. Try not to inhale gases, fumes and smoke. If possible, cover your mouth with a cloth while leaving the area. Follow the decontamination instructions from your local authorities. You may be advised to take a thorough shower, or you may be advised to stay away from water and follow another procedure if the material reacts badly to water. Depending on the hazardous material, you may be advised to decontaminate before evacuating a contaminated area, or you may be told to evacuate first and then seek decontamination. Place exposed clothing and shoes in tightly sealed containers. Do not allow them to contact other materials. Call local authorities to find out about proper disposal of contaminated clothing and shoes. Bring pets inside, and move inside. Close and lock all doors and windows. Close vents, fireplace dampers, and as many interior doors as possible. Turn off air conditioners, fans, and other ventilation systems. In large buildings, also set ventilation systems to 100 percent recirculation so that no outside air is drawn into the building. If authorities say that tap water is safe, quickly fill up bathtubs or large containers as an additional water supply. Move into your pre-selected Temporary Shelter Room (See instructions on setting up a Temporary Shelter Room below). Take your Disaster Supply Kit with you into the room. Seal gaps around doorways and windows with wet towels or plastic sheeting and duct tape. Illustrations on how to seal a room are shown (below). Seal any other gaps in your Temporary Shelter Room, such as window and air conditioning units, bathroom and kitchen exhaust fans, stove and dryer vents, cracks around pipes, and all other holes and cracks in the room. You can seal these gaps with duct tape and plastic sheeting, wax paper or tin foil. Monitor the Emergency Broadcast System station for further updates and remain in shelter until authorities indicate it is safe to come out. Local officials are unlikely to recommend sheltering in a sealed room for more than 2-3 hours because the effectiveness of such sheltering diminishes with time as contaminated outside air gradually seeps into the shelter. At that point, evacuation from the area is a better protective action to take. When the emergency has passed, you should ventilate the Temporary Shelter Room to avoid breathing contaminated air that has seeped inside the shelter. DO NOT leavel your Temporary Shelter Room sealed, as asphyxiation can occur within a completely sealed room after several hours. If the “shelter in-place” order is issued while you are in a car, stop and seek shelter in a permanent building. If you must remain in your car, keep car windows and vents closed and shut off the air conditioner and heater. Evacuate immediately even if you see nothing alarming in your area! Many hazardous materials do not have a taste or an odor, and are only noticeable once they cause physical reactions such as watering eyes or nausea. Follow the routes recommended by the authorities–shortcuts may not be safe. Take your pre-assembled Disaster Supply Kit. If authorities say you have time, minimize contamination within your home by closing all windows and doors, shutting all vents, and turning off attic fans. Open windows and vents and turn on fans to provide ventilation. If you were sheltering in place, you should ventilate the Temporary Shelter Room once the emergency has passed to avoid breathing contaminated air that has seeped inside the shelter. Clean your land and property carefully. Find out from local authorities how to clean up, and carefully follow instructions from emergency officials concerning clean-up and disposal methods. Follow local instructions concerning the safety of food and water. DO NOT try to care for victims of a hazardous materials accident until the substance has been identified and authorities indicate it is safe to go near victims. If authorities determine that it is safe to go near victims, move victims to fresh air and seek medical treatment for unusual symptoms as soon as possible. Follow decontamination instructions from local authorities. You may be advised to take a thorough shower, or you may be advised to stay away from water and follow another procedure if the material reacts badly to water. Assemble a Disaster Supply Kit and select a Temporary Shelter Room (Instructions Below) to use as a shelter from hazardous materials. The Temporary Shelter Room should be above ground and have as few openings to the outside as possible. Add 2-4 millimeter thick plastic sheeting, duct tape, and scissors to your Disaster Supply Kit, but only use them to seal your Temporary Shelter Room when directed to do so. DO NOT seal your Temporary Shelter Room when a disaster is not occurring, as asphyxiation can occur in a sealed room after several hours. Know your local evacuation routes in case of any disaster. Find out what evacuation plans are in place for your workplace and your children’s schools, and plan several evacuation routes out of your area. Ask about industry and community warning systems in your neighborhood in case of a hazardous materials incident. Have your Disaster Supply Kit ready and on-hand. Develop an emergency communication plan. In case family members are separated from one another during a disaster (this is a real possibility during the day when adults are at work and children are at school), develop a plan for reuniting after the disaster. Ask an out-of-state relative or friend to serve as the “family contact”, as it is often easier to call long-distance after a disaster. Make sure everyone knows the name, address and phone number of the contact person. Contact your Local Emergency Planning Committee (LEPC) or your local emergency management office for information about your community’s response plans, and to find out more about chemical hazards and what needs to be done to minimize the risk to individuals and the community from these materials. Your local shelter or emergency management office can provide contact information for your LEPC. A Temporary Shelter Room should be chosen before a disaster occurs, preferably while planning for other emergencies with your family or while assembling your Disaster Supply Kit. A Temporary Shelter Room should be above ground and have as few openings to the outside as possible (windows, doors, vents, cracks, etc.). Your Temporary Shelter Room should be of sufficient size to hold enough air for its occupants once the room is sealed. Ten square feet of floor space ( roughly 3’3″ x 3’3″) per person will provide sufficient air to prevent carbon dioxide build-up for up to five hours, assuming a normal breathing rate while resting. Your Temporary Shelter Room does not need to hold more air than recommended above. Local officials are unlikely to recommend sheltering in a sealed room for more than 2-3 hours because the effectiveness of such sheltering diminishes with time as contaminated outside air gradually seeps into the shelter. 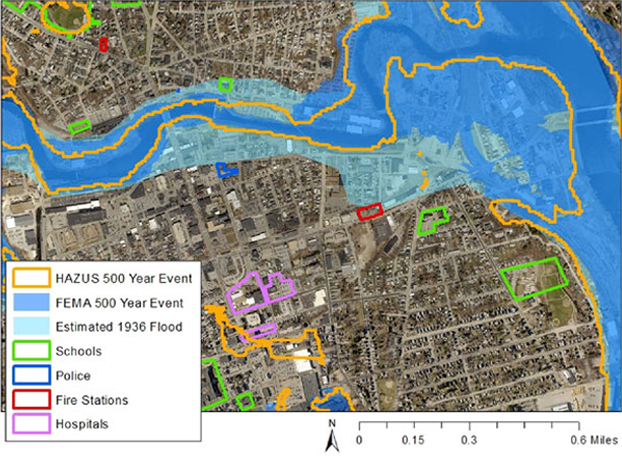 At that point, evacuation from the area is a better protective action to take. Cut the plastic sheeting to fit the openings of your Temporary Shelter Room now. If you cut the plastic sheeting beforehand, you will save yourself precious time during a sudden emergency. Cut the plastic sheeting several inches wider than the openings you are covering, and use a permanent marker to label each sheet so you can identify them later. DO NOT seal your Temporary Shelter Room until instructed to do so by local authorities, as asphyxiation can occur within a sealed room after several hours. 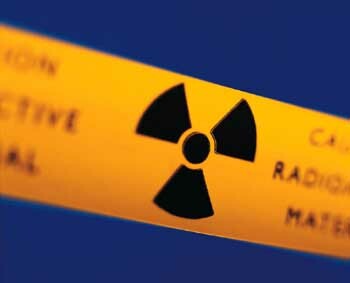 Recognize the dangers posed by hazardous materials. Identify places where hazardous materials are used and stored by contacting the appropriate persons or agencies. Supply updated hazardous materials information to the appropriate agency when inaccuracies are found. Identify procedures to minimize personal and community exposure to hazardous materials, and add those procedures to the community’s emergency plan. Develop an early warning and notification system. Work with local businesses and industry to identify and minimize personnel and community exposure to hazardous materials. Most victims of chemical accidents are injured at home. These incidents usually result from ignorance or carelessness when using flammable or combustible materials. More than 30 states have passed laws giving workers and citizens access to information about hazardous substances in their workplaces and communities. As many as 500,000 products pose physical or health hazards and can be defined as “hazardous chemicals.” Each year, over 1,000 new synthetic chemicals are introduced. The Department of Transportation regulates routes and speed limits used by carriers and monitors the types of hazardous materials crossing state lines. In an average city of 100,000 residents, 23.5 tons of toilet bowl cleaner, 13.5 tons of liquid household cleaners, and 3.5 tons of motor oil are discharged into city drains each month.